I’m not sold on the name “Convo Droid” but this thing is a friend of Time Lapse Bot that will be used to capture audio at BarCampMadison. 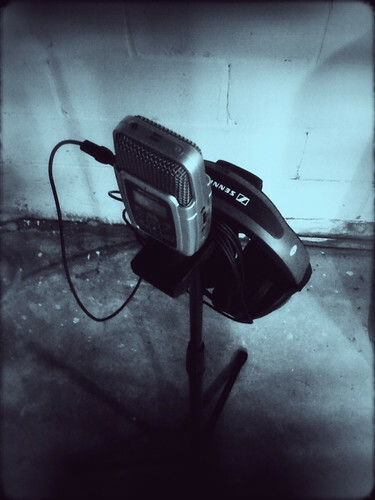 It consists of a mic stand and a Zoom H2 Handy Portable Stereo Recorder which can be used to capture a full day of audio. The idea here is, we put this in session rooms and let it record the discussions so that we can publish them later. It is battery powered, but in order to get a full day of use, we’ll probably need to go with AC power.